During their visit home, Zhang Peng Peng (Zhang Tian Ai) learns that Qi Sheng's lover Jiang Yingyue is actually a distant cousin whose position in the Zhang household is far below hers. Since they're in Zhang family territory, Qi Sheng (Sheng Yi Lun) reminds Yingyue to be extra careful and to not do anything suspicious. Yingyue agrees but not without voicing her concerns about the growing relationship between Qi Sheng and Zhang Peng Peng, to which Qi Sheng vehemently denies. 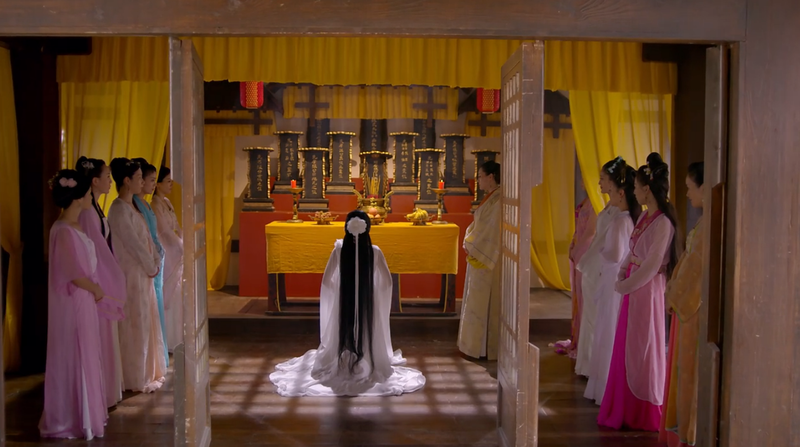 True enough, Zhang Peng Peng's mother is out to get Yingyue and she is forced to kneel in front of the ancestors as punishment. Being the womanizer that (s)he used to be, Zhang Peng Peng can't stand to see a woman scorned so she pleads alongside Qi Sheng to let Yingyue off the hook. Everyone clears the room leaving Qi Sheng with Peng Peng's mother and because of Lu Li's conspiracy theories that Peng Peng's mother might poison Qi Sheng, a frantic Peng Peng runs back to the room to save her husband. Obviously, it was just a false alarm since her mother would never do such a thing. Instead, the mother-daughter have a heart-to-heart talk wherein Peng Peng admits that she just wants a life of leisure separate from Qi Sheng without a care about who he likes or who he is with. Her mother then warns Peng Peng that the palace is a dangerous place and she can only secure her safety by getting pregnant. The realization puts Zhang Peng Peng in an awkward position of having to sleep with a man especially if said man also tells her that he is starting to be notice her. The next morning, Peng Peng sees a hickey on Qi Sheng's neck and automatically assumes that Qi Sheng spent the night with Yingyue, which pisses him off and gets her kicked out of the carriage. Only after Lu Li tells her does she recall the horrific truth that the person he slept with was none other than herself. She was initially wallowing in sorrow but there's no time for tears since the soccer event is coming up. Qi Sheng drags Peng Peng for some much-needed soccer practice and quality time between the two. Unfortunately, the devious Yingyue chooses to make her move at the soccer match by accusing Peng Peng of taking off her clothes. 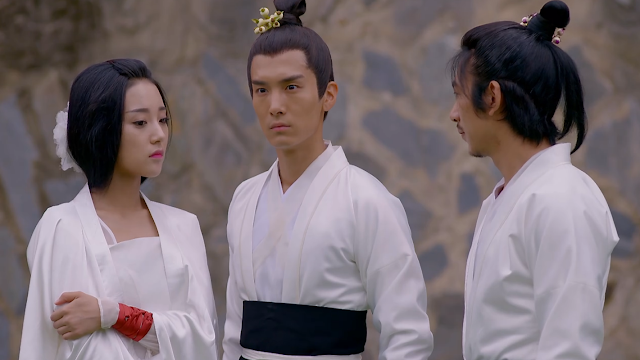 Clearly infuriated, Qi Sheng is unable to control his emotions in a public display of devotion towards Yingyue and he completely ignores Yingyue's husband Zhao Wang. On the other hand, Peng Peng is hurt from all the accusations being hurled her way with only the 9th Prince (Yu Meng Long) willing to stand by her side. She exclaims that there's nothing she hates more than being wronged, which earns a slap on the face from Qi Sheng.